Invite young members of the Rebel Alliance to a battle with sweet rewards with this Darth Vader Star Wars Pinata. Shaped just like the Sith Lord himself, this pull string pinata is sure to be an exciting highlight of your child’s Star Wars birthday party. Simply fill this piñata with up to 2 pounds of candy and Star Wars party favors, then set your young Jedi on a mission to find the magical string that will unleash a bounty. 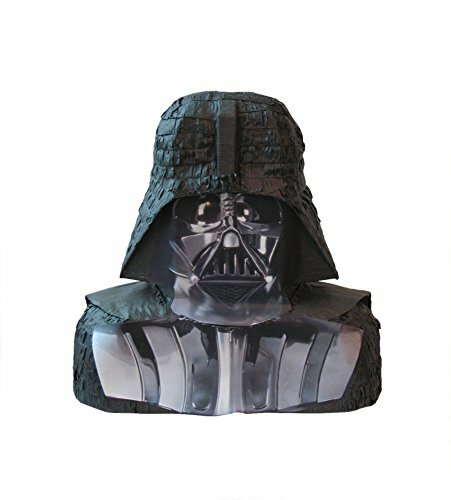 Because this Darth Vader pinata stays intact, it’ll also serve as an eye-catching Star Wars party decoration. For an out-of-this-world birthday celebration, be sure to shop our other Star Wars party supplies.